TRE Residences in Geylang - a 250-unit condominium project jointly developed by Sustained Land, MCC Land and Greatview Development, will begin its sales next weekend at an average indicative pricing of $1,560psf. The developers are also dangling early-bird discounts of up to 5% during the Nov 15-16 launch. The project's launch is coming ahead of GuocoLand's condo project at Sims Drive, Sims Urban Oasis, that is expected to be launched only early next year. After factoring in the early-bird discounts, prices at TRE Residences start from $690,000 for a 420sqft one bedder to $899,900 for a 570sqft two-beddder, $1.179 million for a 764sqft compact three-bedroom unit and $1.38 million for a 974sqft four-bedroom dual-key unit. The breakeven price for the project is around $1,300psf, given the land bid of $776psf ppr or $146 million tabled by Sustained Land in January this year. 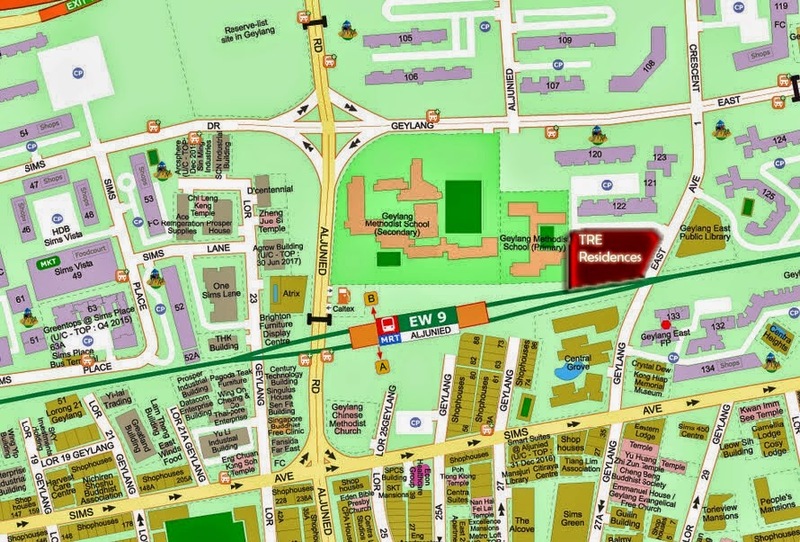 SLP International executive director Nicholas Mak noted that the average indicative pricing for TRE Residences is steep compared to the median prices of between $1,151psf and $1,497psf for new sale transactions in the vicinity, including The Centren and Grandview Suites, in the past one year. 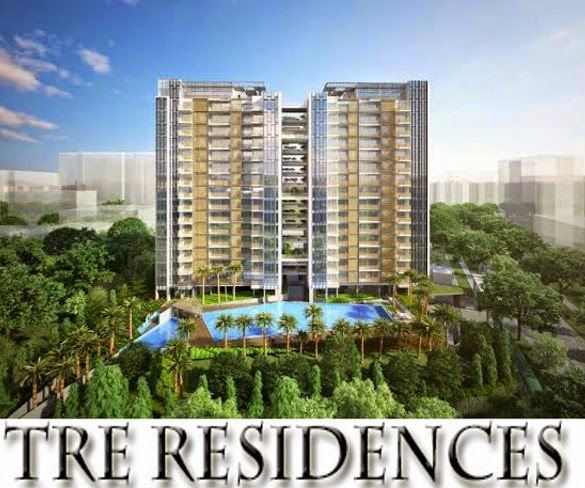 The 99-year-leasehold TRE Residences is priced similarly to freehold resale units at two other Geylang projects, Centra Heights and Centra Studios, which have a median price of $1,507psf and $1,687psf respectively for units transacted over the past one year. Mr Mak also noted that the rental yields for selected 99-year condos near TRE Residences hover at 3.8 - 3.9% per annum. To match this rental yield, the expected monthly rents for units in TRE Residences have to range from $4.79 to $5.19psf. The median monthly rents in the Geylang planning area, however, have been $3.30 - $3.80psf in the past 15 months, he said. The wife and I sure hope that there are some "wow factors" in terms of designs and facilities within TRE Residences, as the project seems to have little going for them in terms of unit sizes (974sqft 4-bedroom and dual-key some more?! ), prices or rental yields. No Comment to " New project info: TRE Residences to launch next weekend "